An easy turkey bolognese sauce made with just a few basic ingredients and ready in less than 30 minutes. Served over zucchini pasta for a healthy and satisfying meal. 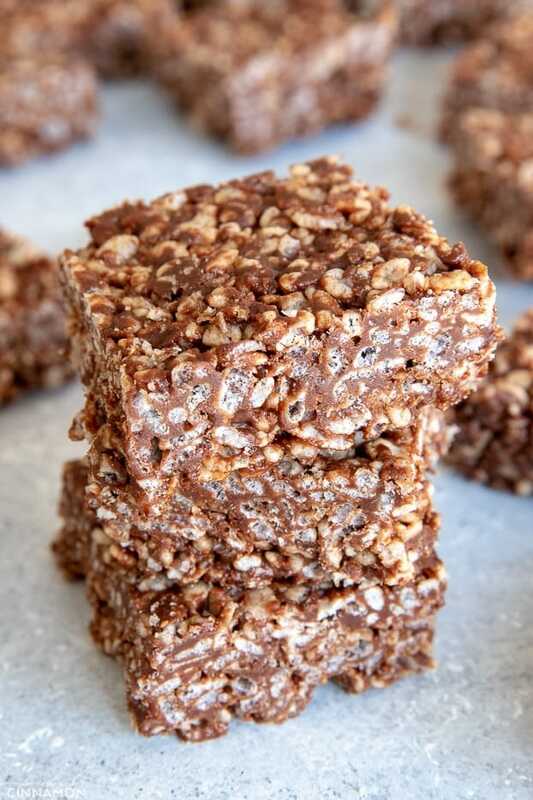 Naturally gluten free and low carb. I originally created this easy turkey bolognese as I was coming home from the gym starving, with nothing already made to grab and eat, and a pretty sad half-empty fridge. My mission was to come up with something super quick and nutritious before I’d turn into the Hulk for being so hangry and I succeeded! With just a few ingredients, I had prepared a meal that’s not only healthy + wholesome but also, super delicious! Since then, I’ve made this recipe time and time again, perfected it, and now it’s my go-to turkey meat sauce for when I’m in a hurry. Add ground turkey and cook until it’s no longer pink, breaking up the meat into small pieces with a wooden spoon (step 2). Drain liquid (if any), season with salt and pepper and add some tomato passata (tomato sauce). Bring to a boil, then reduce heat and cook on medium heat uncovered for about 15 minutes, stirring from time to time. Turn off the heat and stir in some fresh parmesan cheese (step 5). The sauce should be thick and not watery anymore, as shown on the photo below (step 6). Place your zucchini noodles in a plate or a bowl, spoon some sauce on top, sprinkle with extra parmesan if you want and enjoy! Wait, what? No carrots and celery in your bolognese?! This recipe was designed to be as simple as possible, with a minimum of ingredients delivering a maximum of flavors. So although I know that traditional bolognese sauce usually includes some chopped carrots and celery sticks, you honestly won’t miss them at all. This recipe doesn’t pretend to be a masterpiece of the most perfect and pure bolognese that you can cook on the weekend and rave about for weeks. 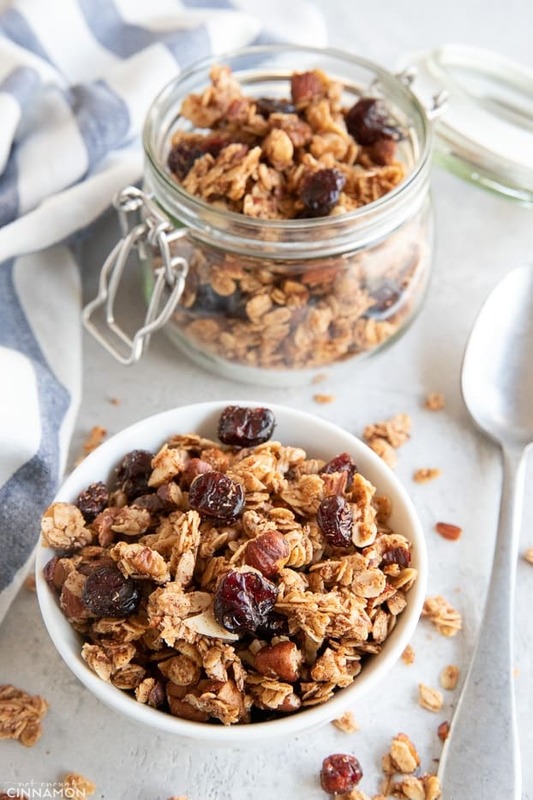 This recipe is the one you need for a quick and easy dinner on week nights, when life’s busy and you want to eat a super tasty meal that’s good for you. I promise you won’t miss the carrots and celery. Or the simmering for hours that matter! But please do me a favor and don’t skip the fresh basil though, okay? 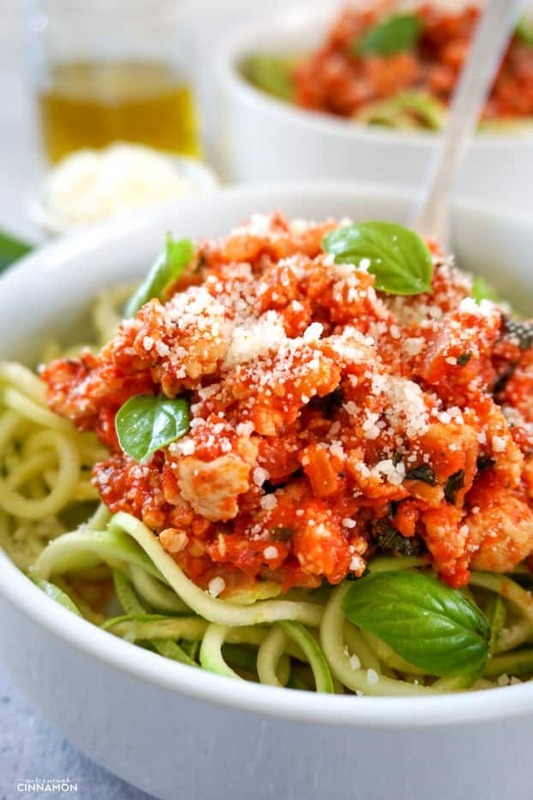 If you’d like to serve this turkey bolognese sauce with zucchini noodles instead of traditional pasta, read this! Zucchini is made of 95% water – which means that they will become very soggy and thus not appetizing at all if you overcook them, even by one minute. Have them raw – it’s actually my favorite method and I always eat my zoodles this way. They taste good and keep their shape and “crunch” factor, making the texture a bit more similar to pasta. Toss them with sauce to warm them and they’re ready to be eaten. Microwave – place your zucchini noodles in a microwave-safe bowl and cook them on high in 30 second bursts (always taste them in between bursts so you don’t overcook them. Sautéed in a skillet – sautée in a pan with a little bit of olive oil for 1 to 2 minutes. For this recipe, if you don’t want to eat them raw, add the zucchini noodles in the skillet with the warm sauce, on the stove, and let them sit for 2 to 3 minutes. The heat of the sauce will cook them. 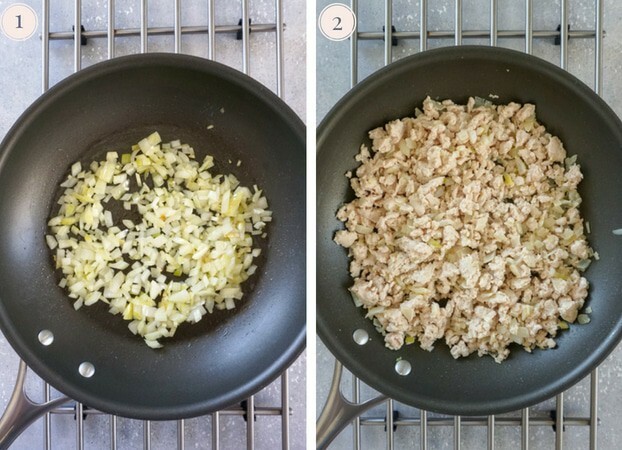 A few tips and substitutions to make this easy turkey bolognese sauce! Freezing: Bolognese sauce freezes well. Pack in an airtight container and freeze for up to 6 months. Thaw overnight in the fridge or in the microwave. Do not freeze zucchini noodles. Make ahead: You can make the bolognese sauce and keep it in the fridge for up to 4 days. Don’t prepare the zucchini noodles more than 2 days ahead. Pack the bolognese and zucchini noodles separately. 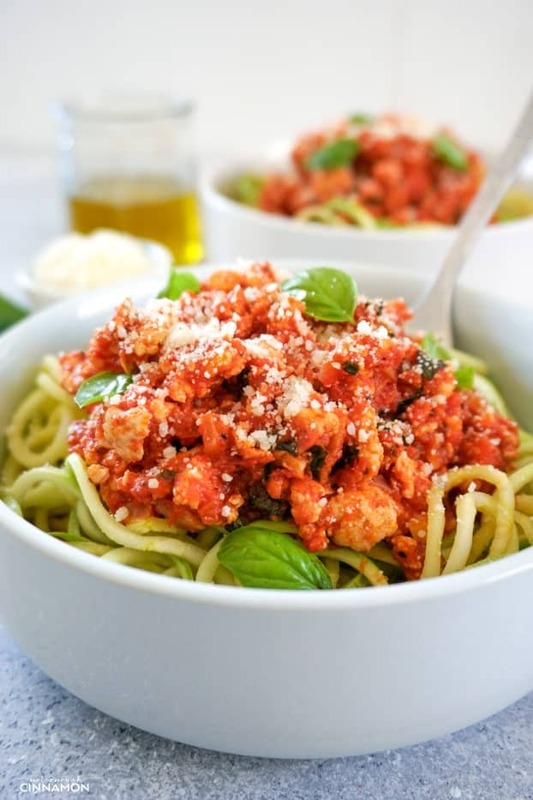 If you tried this turkey bolognese, don’t forget to rate the recipe and let me know how it went in the comments below – I love hearing from you! You can also follow me on Instagram, Pinterest and Facebook for more deliciousness and behind-the-scenes! Heat olive oil in a non-stick skillet over medium heat. Add garlic and onion, and cook until soft, about 2 minutes. Add ground turkey, and cook until no longer pink, breaking the meat into small pieces with a wooden spoon as it cooks. Drain liquid (if any). Season with salt and pepper. Stir in tomato passata and oregano. Cook on high until bubbly then reduce to medium-low and simmer uncovered for 15 minutes, stirring from time to time until most of the liquid has evaporated. 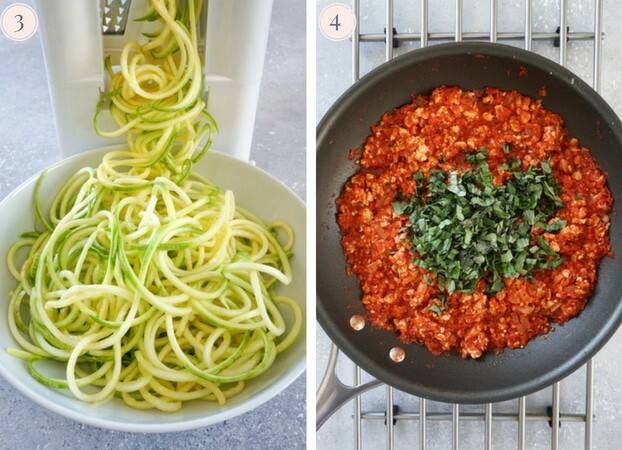 While the sauce is cooking, prepare your zucchini pasta with your Spiralizer. Using scissors, cut the zucchini noodles to make them shorter and easier to eat. When the sauce is almost ready, add basil and cook for another 3 minutes. At this point the sauce should be thick and not watery anymore. Turn off the heat and stir in parmesan cheese. Place zucchini noodles in four bowls or plates. 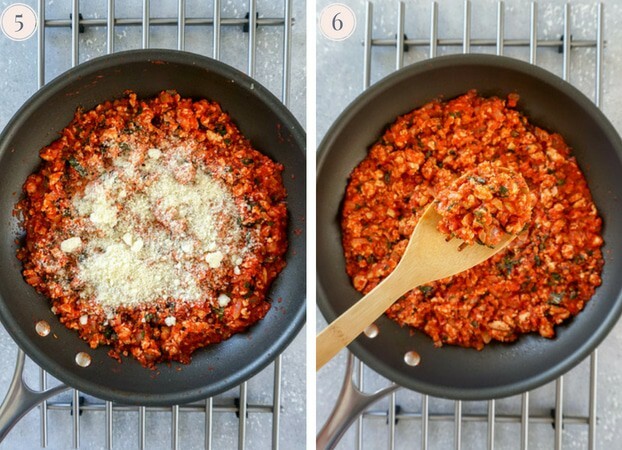 Spoon turkey bolognese on top and sprinkle with more parmesan. Serve immediately. 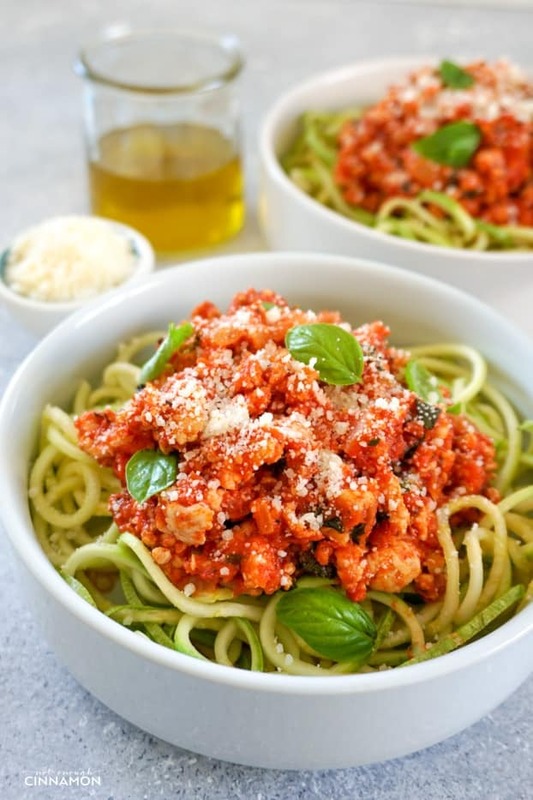 If prefer to eat my zucchini noodles raw, but if you prefer them cooked, add them in the skillet with the hot turkey bolognese and let them sit for 2-3 minutes. The heat of the sauce will be enough to cook them. Make ahead: You can make the bolognese sauce and keep it in the fridge for up to 4 days. Don't prepare the zucchini noodles more than 2 days ahead. Pack the bolognese and zucchini noodles separately. 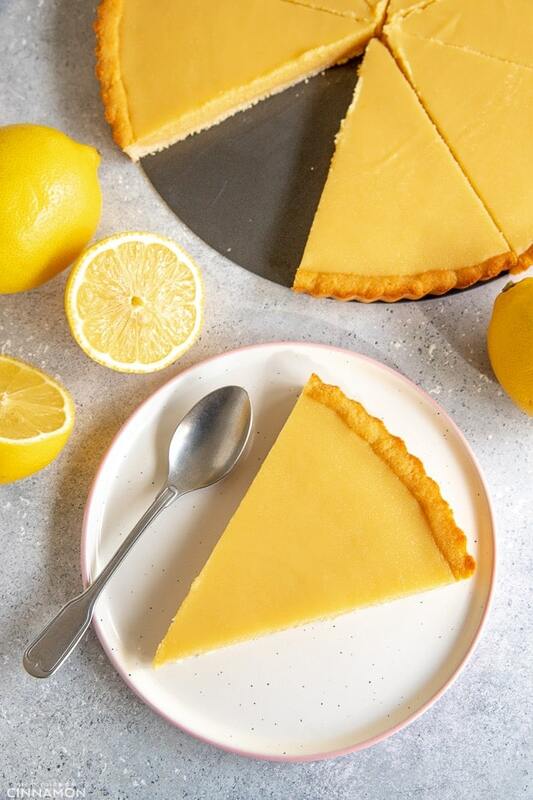 UPDATE NOTE: This post was originally published on March 21, 2014 and republished in July 2018 with an updated recipe, new photos and tips. I love this healthy dish! I need to try zucchini pasta! Yum! Thanks Julia 🙂 Since I discovered zucchini pasta I eat some at least twice a week! I love how it feels you’re eating pasta when you’re actually eating tons of veggies! 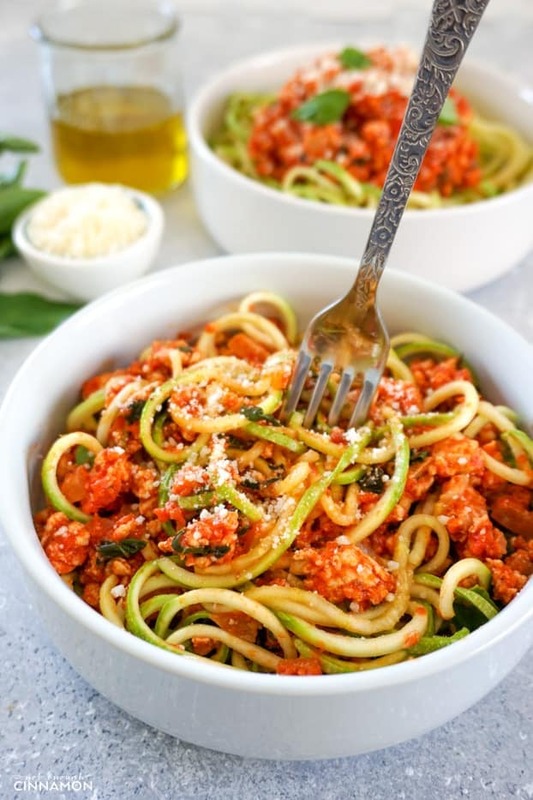 Love this healthy and vibrant dish and the zucchini pasta! I love, and I mean LOVE zucchini pasta! 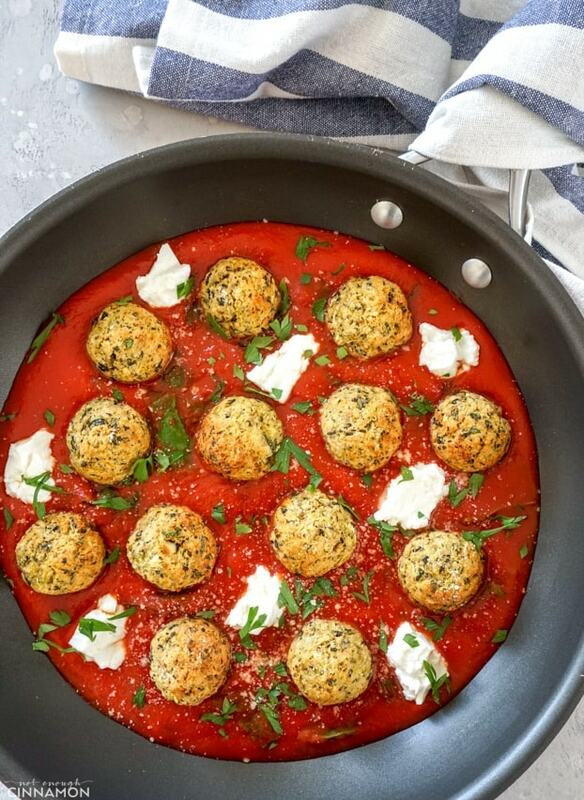 This dish looks incredible, I’m pinning to make this week – thank you! Totally pinning this recipe. It looks healthy AND delicious! zoodles are for sure a favorite at my house!! We have them basically every week! Love it when healthy becomes tasty! This dish is perfect for weeknight dinners! 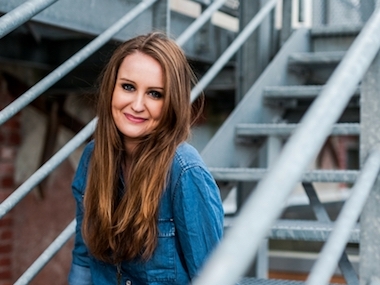 Thanks for your great recipes and your photos are amazing! I’m hooked! Healthy tasty option! Thanks for the recipe, really delicious. I love zucchini pasta but for some reason, I haven’t tried it with Turkey. I need to do it ASAP.